ANT-Sci will be a 3-day long, single-session meeting, that will include invited and contributed presentations, poster sessions, and dedicated discussion time to promote exchange of ideas. The meeting will follow the West Antarctic ice sheet (WAIS) meeting. The meeting will kick off on Wednesday after lunch and continue through Friday afternoon. Registration costs will cover all food (not alcoholic beverages) and 3 nights of lodging expenses while you are at Camp Casey (Wed-Fri). The not-so-fancy facilities (with a beautiful location), allows us to keep your costs low. Antarctica has one of the longest mountain chains in the world, the Transantarctic Mountains, which extend a distance of 3,000 miles (4,800 km). In many places the chain is mostly buried, but the exposed peaks often have steep snow-free faces. 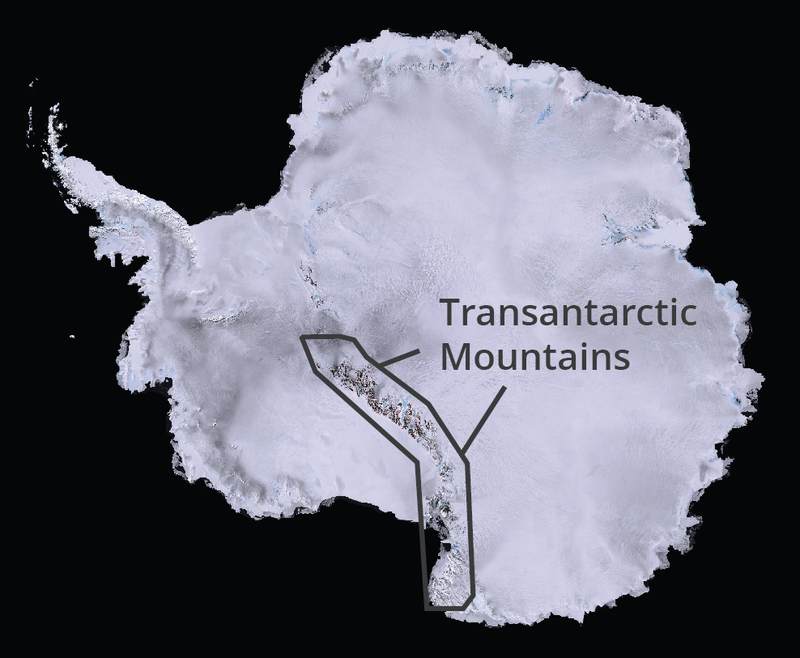 The Transantarctic Mountains penetrate into the interior of the continent. They are a window into the geology of the continent but also a barrier that has profound implications for climate evolution as well as extreme biological environments. Investigations in the less accessible parts of the mountains, south of the McMurdo Dry Valleys and the focus of the proposed camp, have been mainly concerned with geology, and have resulted in numerous discoveries of importance to the geologic and geodynamic evolution of the continent as well as the late Cenozoic glacial history. Important meteorite collections have also been made within and adjacent to the Transantarctic Mountains. Automatic weather stations have been deployed to aid in understanding of katabatic flow and synoptic meteorology. However, little biological research has been conducted.